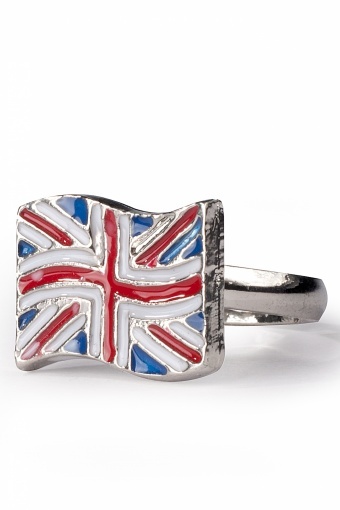 Cute Little Union Jack ring. 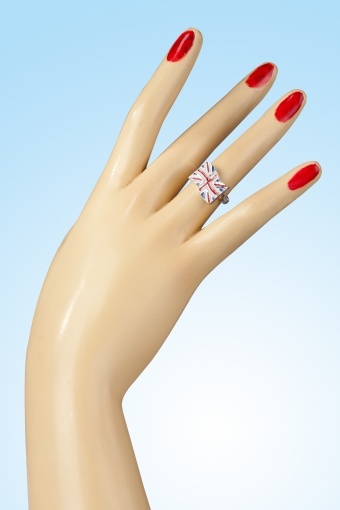 Supercute little adjustable Union Jack ring. 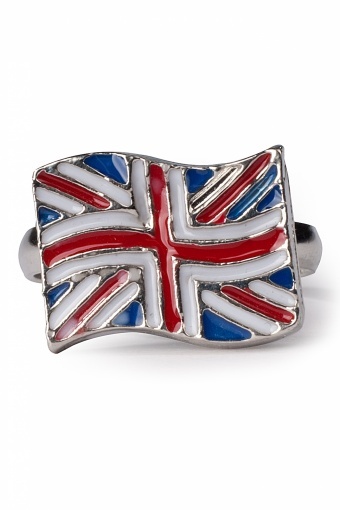 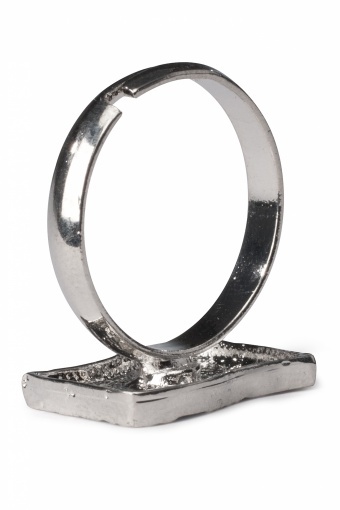 The base is in bright silver toned metal and the colours of the flag are enamelled in white, red and blue.